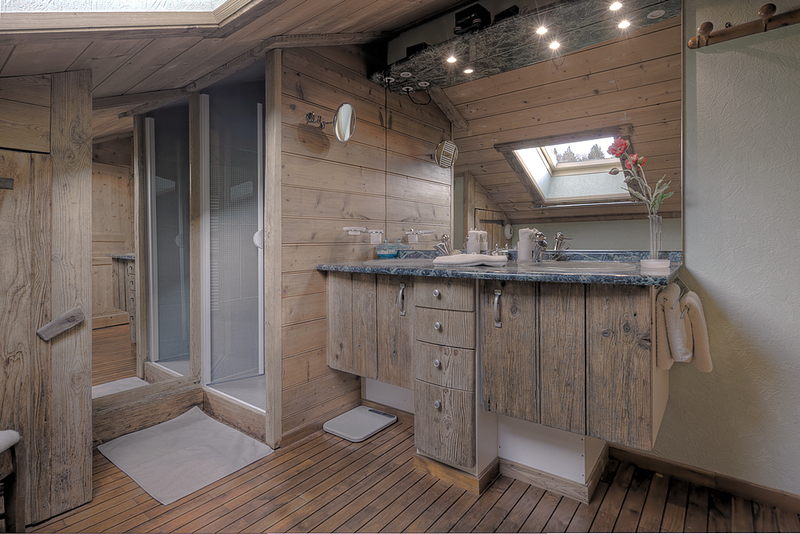 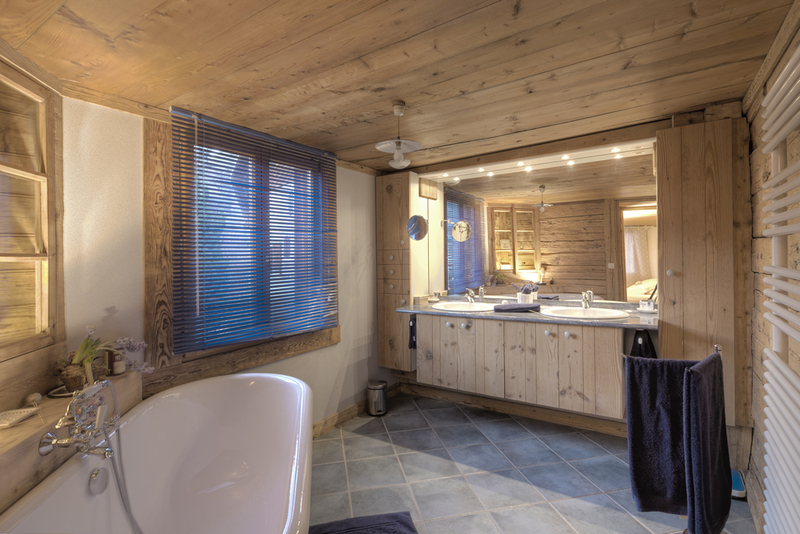 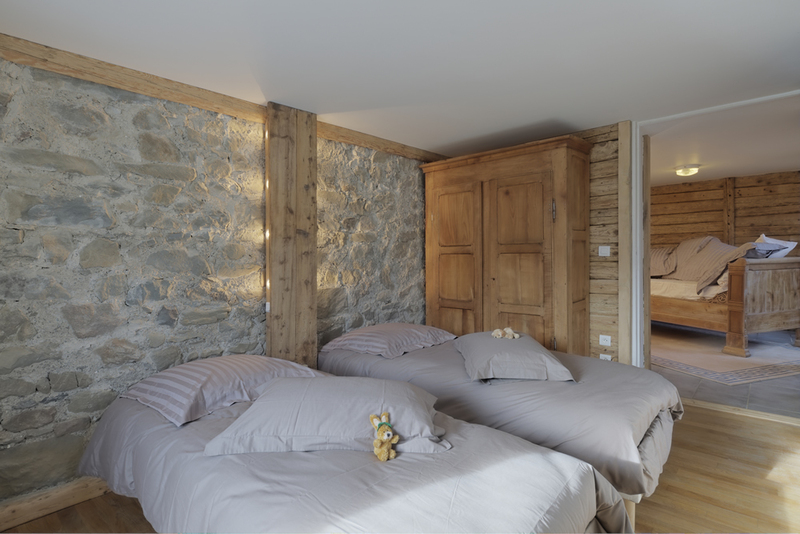 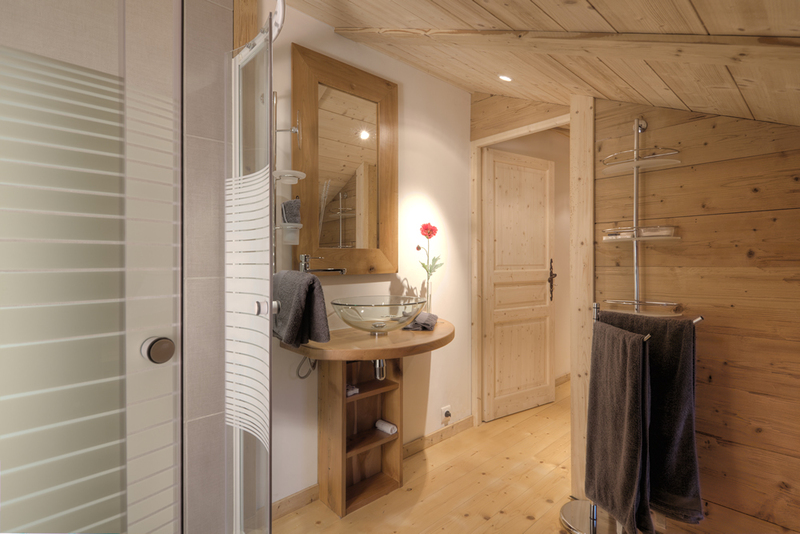 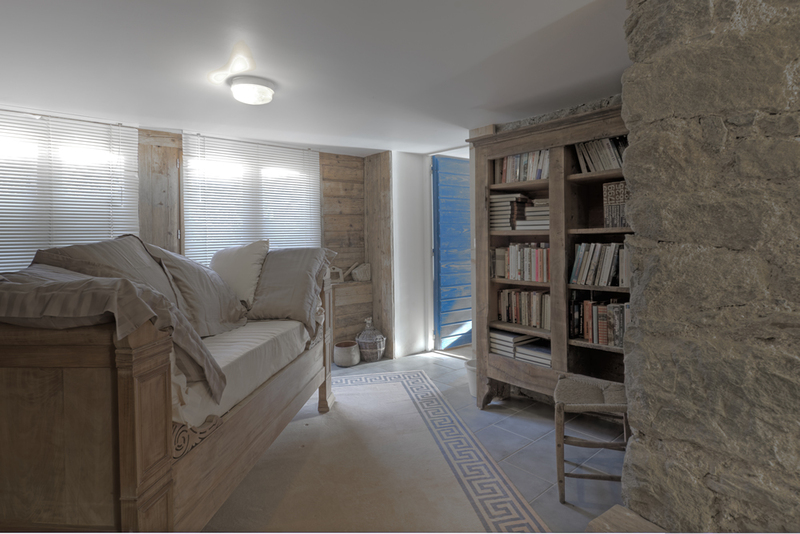 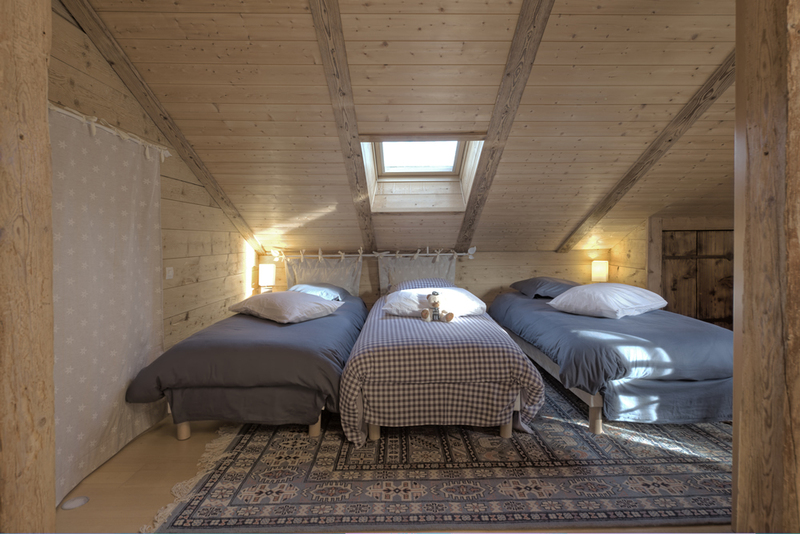 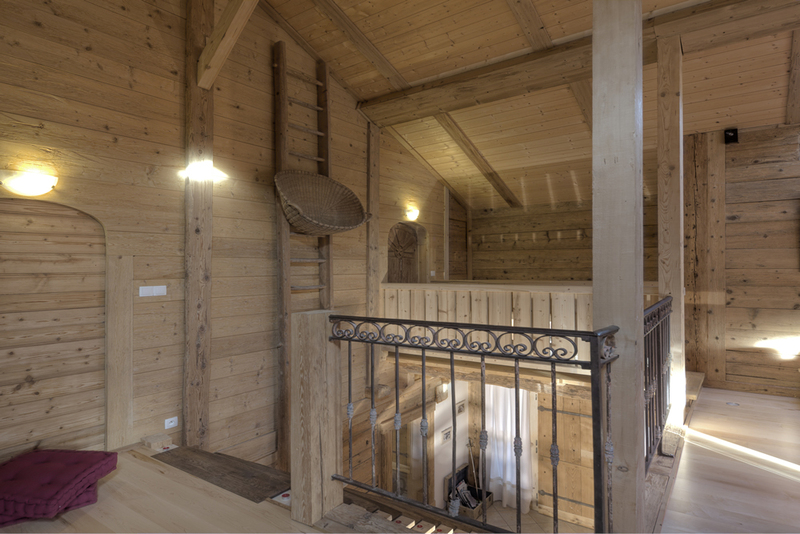 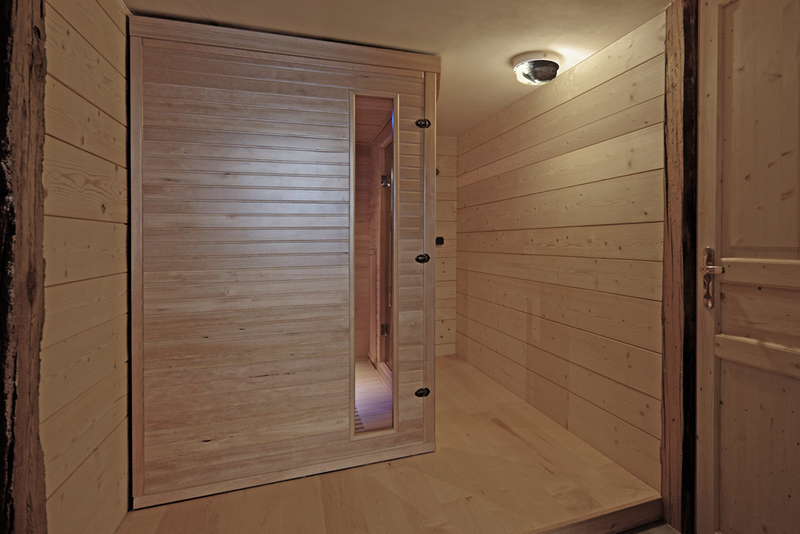 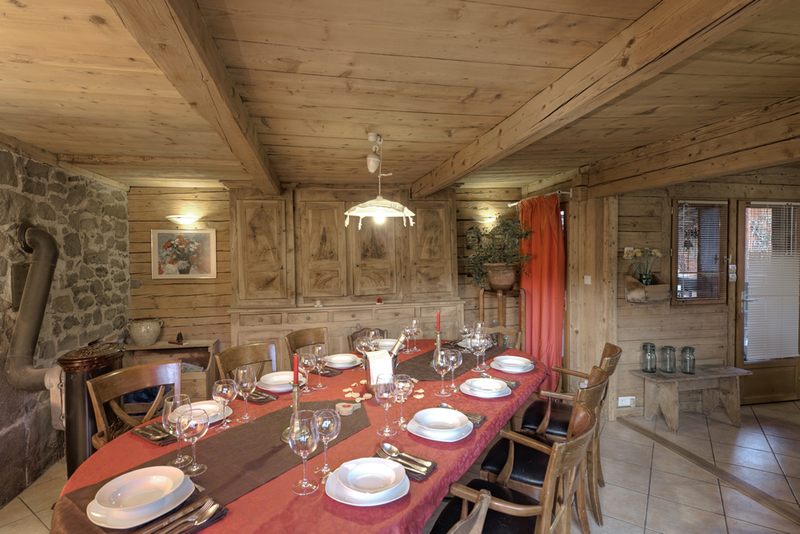 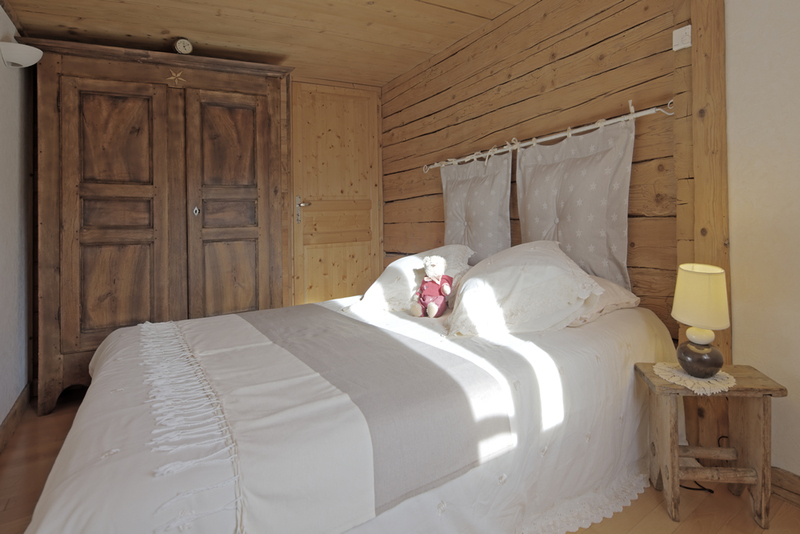 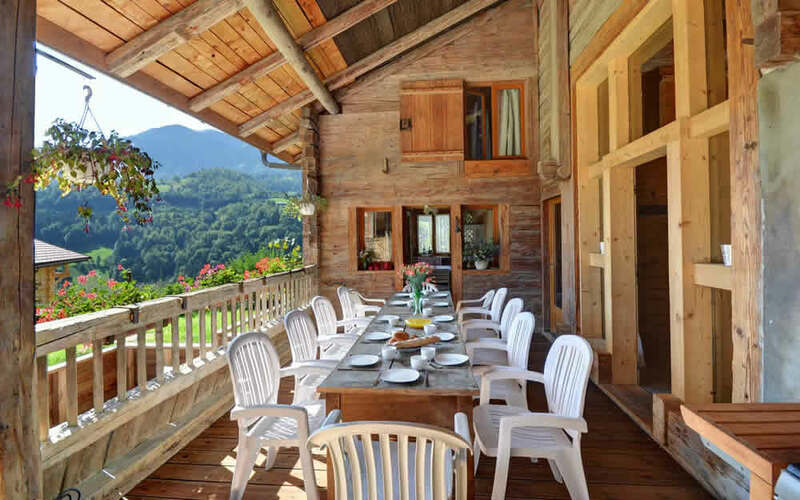 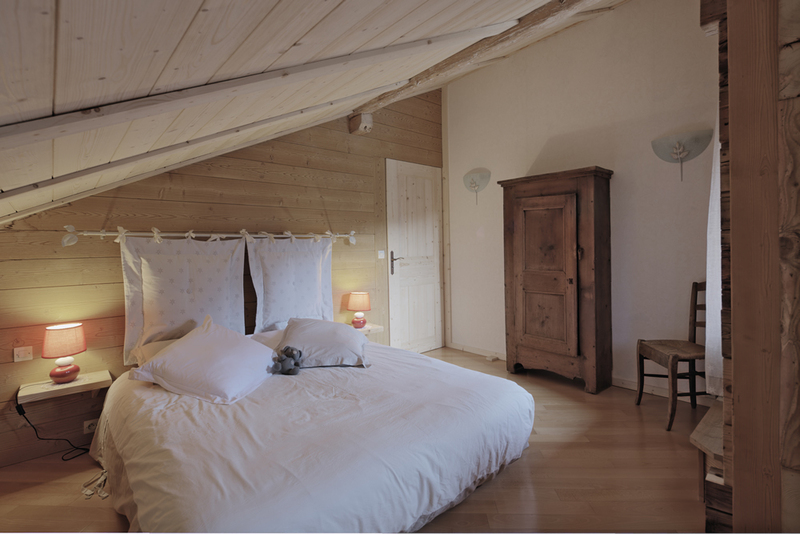 The danger of booking Chalet Cashmere Spirit for your holiday is that you may never want to leave it. ! 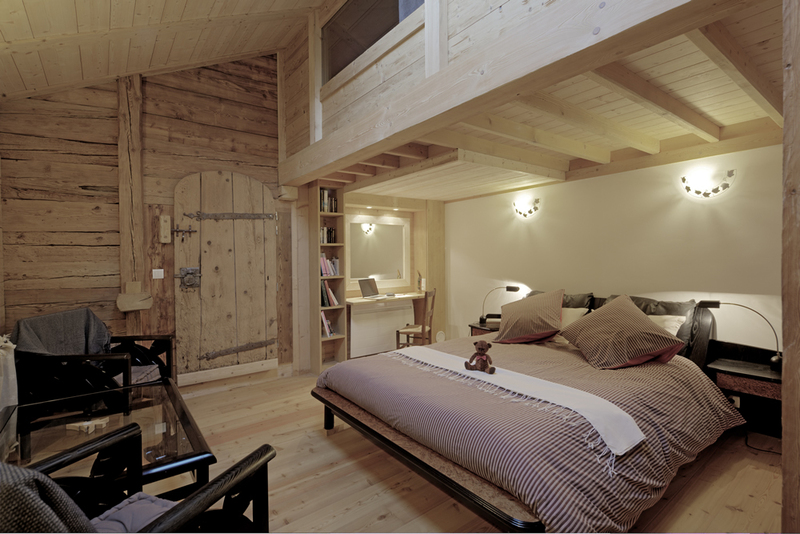 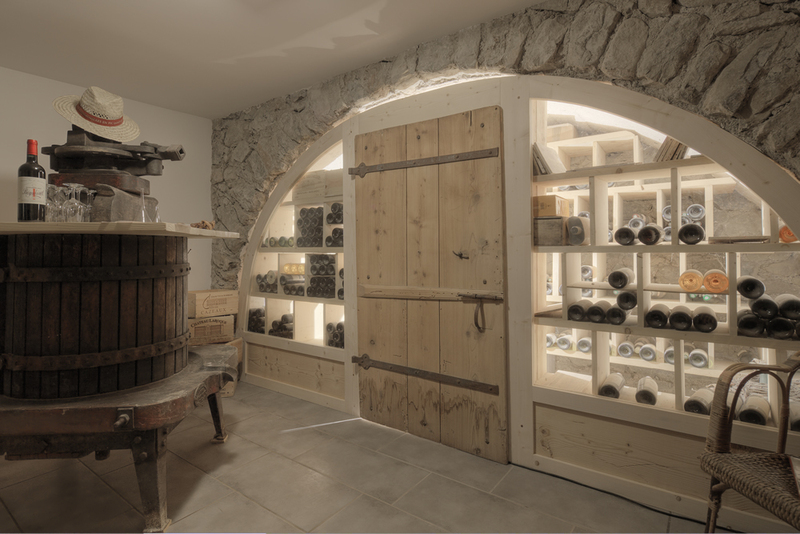 Sleeping 12 people in luxurious comfort, the five bedrooms include three suites, and there are four stylish bathrooms. 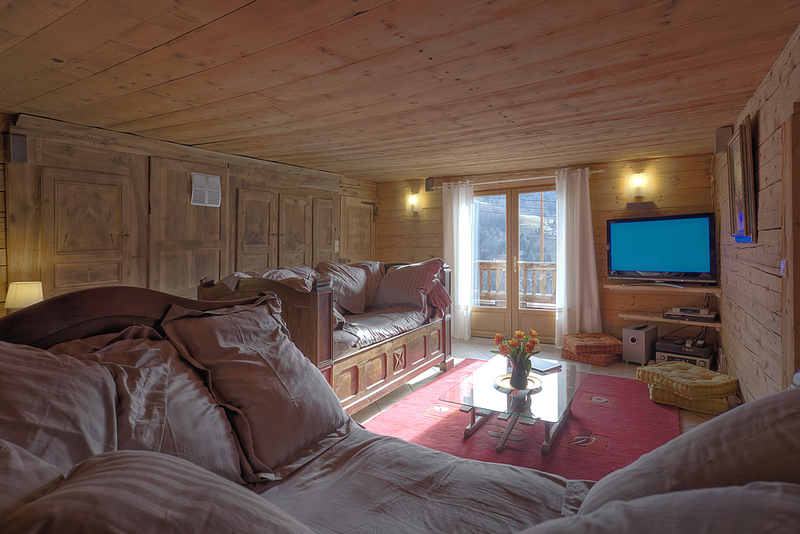 The living room at the top of the chalet has superb views over Manigod valley. 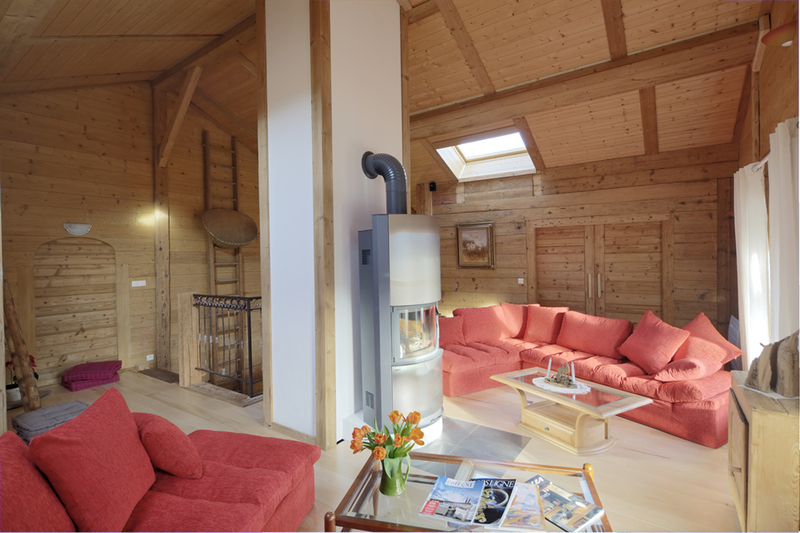 Choose a bottle of wine from the cellar and sink into the soft sofas around the log fire for the perfect evening with friends. 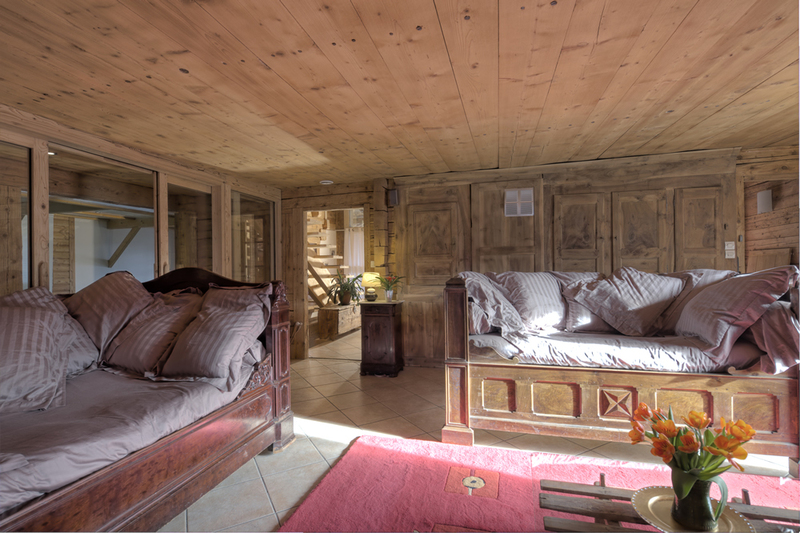 Those who would rather watch TV have their own space - the TV room is furnished with two antique day beds piled with cushions - and if you want to quiet spot to read a book, there’s another day bed just off the pool and sauna area. 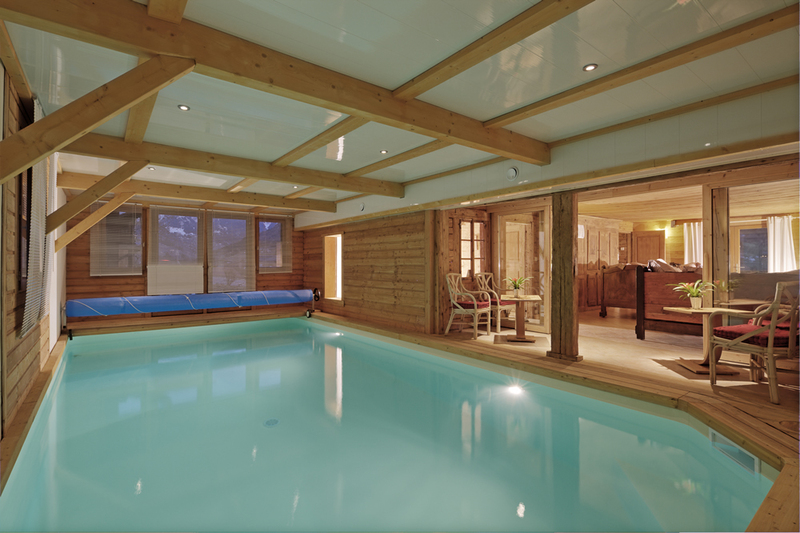 The pool is heated to 27oc all year round, and opens on to the furnished and decked garden for sunbathing. 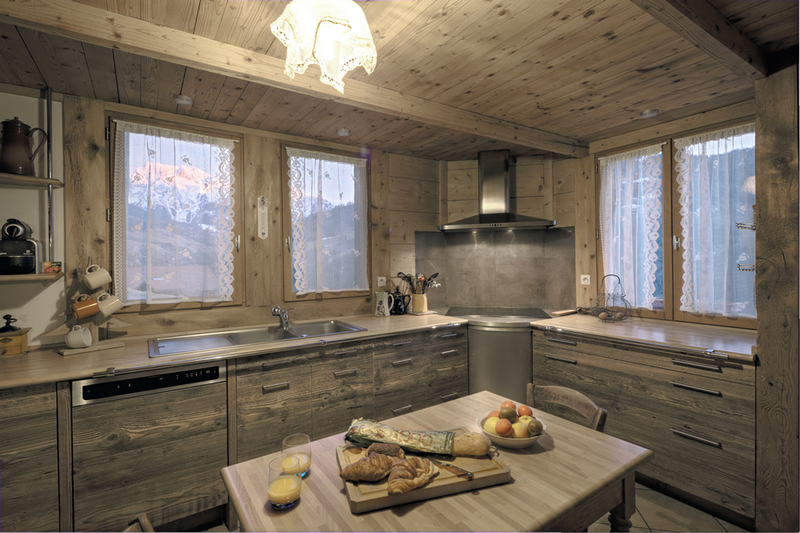 The handbuilt kitchen has everything you need to cook up a delicious meal, which you can eat in the beautiful dining room, with an original woodburning stove, or on the covered terrace - the choice is yours.